Throughout scripture, we are called to worship God. 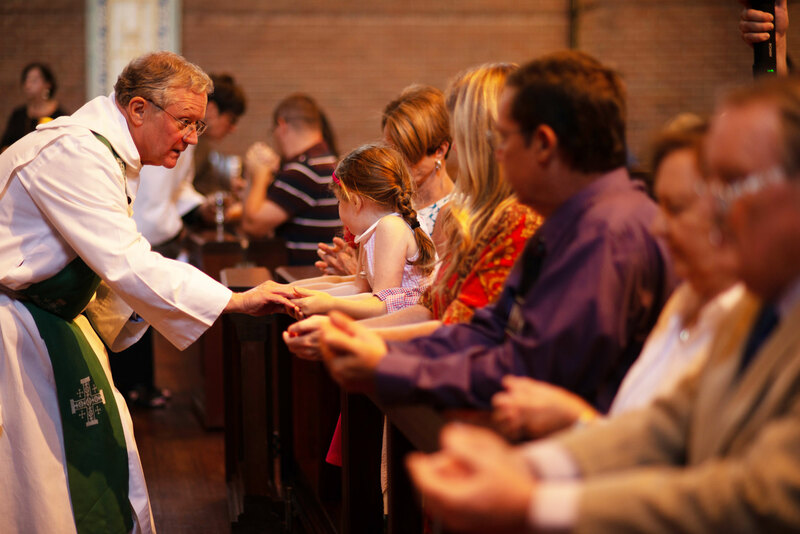 We worship God in several ways in the Episcopal Church depending on the season of the church year, or whether it is the principle service on Sunday or a weekday service of another kind. We celebrate the Holy Eucharist every Sunday, and during the week, you may find us in a service of Evening Prayer or Compline. We welcome you to join us any time, as we worship God through our Lord Jesus Christ, together. Currently on Wednesdays, we gather for Celtic Evening Prayer with prayers for healing. Come experience this calming service of scripture, prayer, and music in the intimacy of the Parish Hall. (Begins Sept. 12th) Stay for supper as a community. A short program will follow. We aim to include children in as many aspects of the life of the Church as possible. Christian Formation is the cornerstone of this joyful effort to know, love, and serve God. Our nursery is open every Sunday at 9:45 for children ages 0-5. K-5th graders attend Sunday School after the service and 6th-12th graders participate in youth group after the service. Adult Christian Formation meets after the service. Clergy or lay-led, our education program offers meaningful discussion of Scripture’s application to our daily lives in the Episcopal tradition of inquiry. Every Monday at noon, the vicar welcomes us to participate in Bible study centered on the assigned readings for the upcoming Sunday. These small groups promote strong fellowship, challenging discussion, and spiritual growth, as illustrated by the apostles in Acts 2:42. We renew our commitment to Christ midway through the week with worship, music, a shared meal, and focused discussion. 5:45 pm – Celtic Evening Prayer with healing & music in the Parish Hall. 6:15 pm – Catered supper in the Parish Hall. 6:45 pm – Exploration: we will delve into one of the readings from The Daily Office with a group discussion of the application of Scripture to our daily lives.